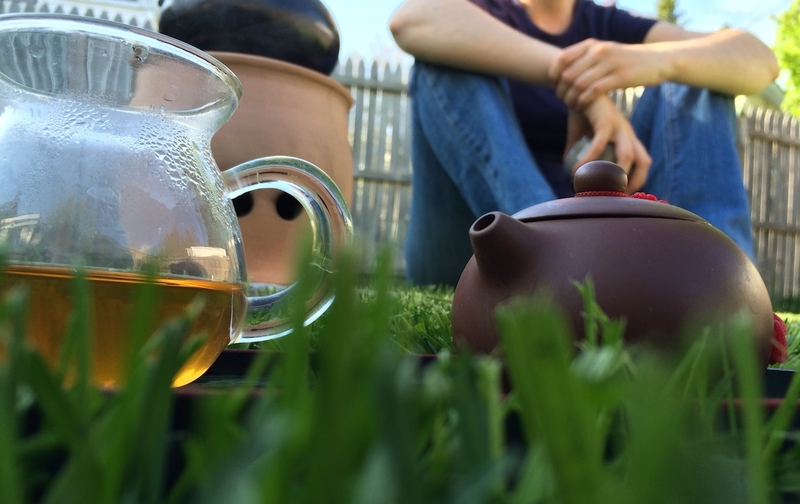 Let’s talk about all the different shapes of tea pots that are out there. It’s quite an interesting artistic exploration to see how some teapots are designed. Now first of all, as I’ve often said, you don’t need anything fancy to make tea. A saucepan, kitchen strainer, and a mug will do. But what’s a little non-intuitive about that statement is that sometimes a saucepan would actually do better than a teapot. Why is this? It has a lot to do with how the leaves come into contact with the water. I’ve done some really terrible drawings to help explain this. Full leaf tea infuses rather slowly, meaning that it takes some time for the flavors, aromas, and other properties within the leaf to be extracted into the water. This is a good thing. It’s what allows careful brewing to bring out the best balance of flavor and strength. 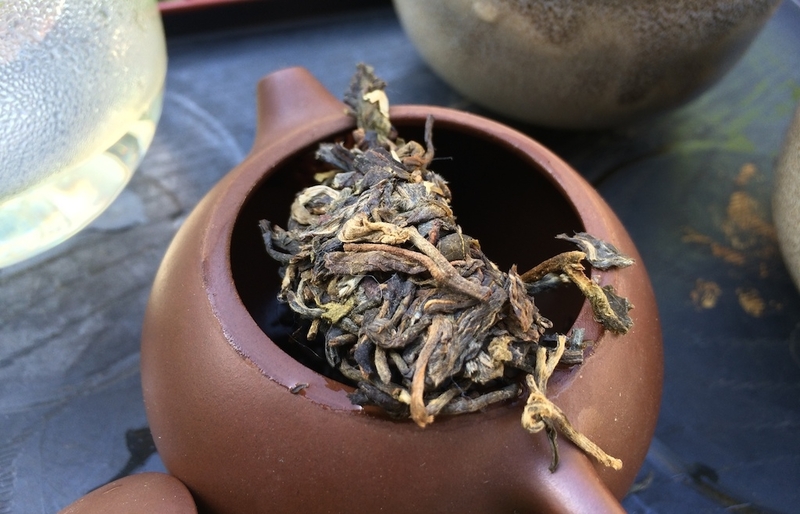 The bitter properties of tea are generally the last to emerge, so they will appear only at very high temperatures or after a relatively long immersion time. In still water, the (delicious) chemical properties of the tea leaf will expand slowly outward from the leaves themselves, concentrating around each individual leaf. 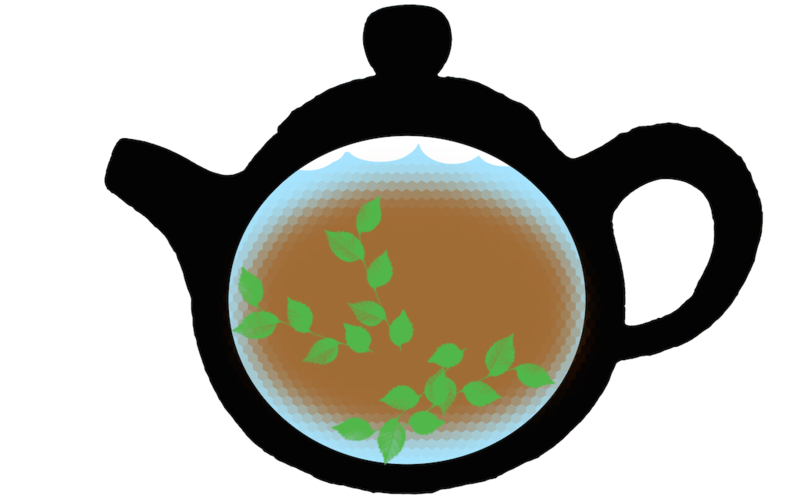 If the leaves are just floating around, as in a saucepan, then this will ensure a fairly even distribution of tea taste in the water. Tea infusion with leaves loose in the pot. If instead, however, the leaves are held in once location and packed together, then that area of the water will become quickly infused with flavor, leaving the rest of the pot to be mostly uninfused. This is how a tea ball works. As such a pot is poured, it’s likely that the tea area and the non-tea area will mix, resulting in a fairly weak infusion. To compensate for this, many people have taken to steeping their tea for a longer time, which does indeed make the average tea body stronger, but it also allows the bitter qualities of the leaf to be more prevalent, since it gives them time to be extracted from the tea. Tea infusion with the Death Star tea ball. Tea infusion with a shallow basket strainer. All that said, if you’re used to using tea bags, the same rules don’t always apply. Or rather, the rules do apply, but the infusion is so fast that there’s little chance for control or refinement anyway. 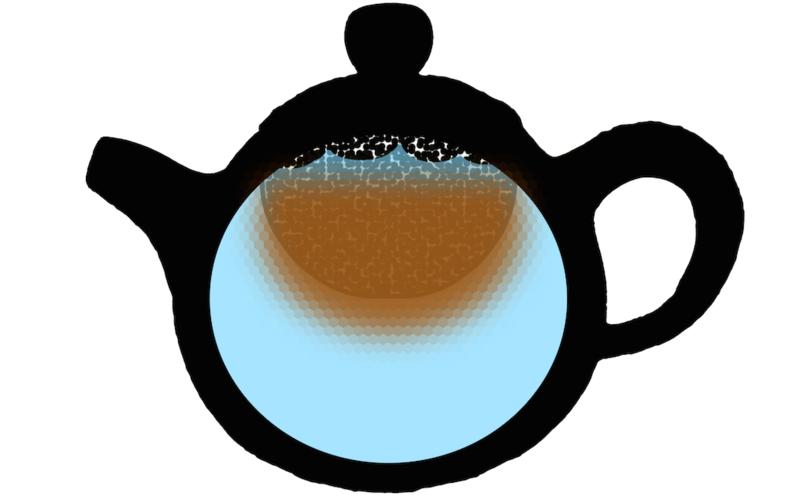 The tea in most tea bags is ground up CTC (“crush-tear-curl”) or at least very broken. 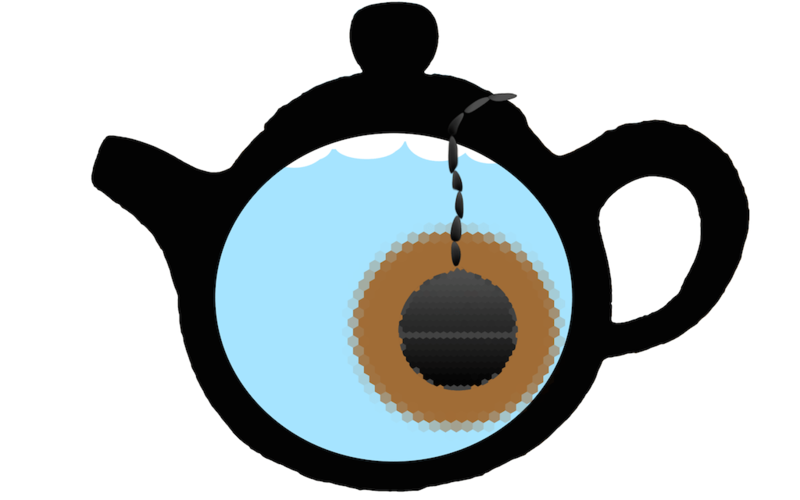 The result is that most of the possible flavors as well as the bitter qualities are released all at once, and the result is similar to the tea ball but much more blunt. If many tea bags are used or allowed to infuse for several minutes, the result is the same blunt, strong infusion spread all around the pot. So, what can we do about this? Well the answer is to look back at the saucepan and the kitchen strainer. Putting tea leaves directly in the water without any separation will give you the best possible chance of finding the flavor of the leaves. Straining can come when pouring (in fact, the best tea pots in my opinion have strainers built into their spouts). The usual rules of time and temperature still apply, but experimentation will be much easier since you can much more easily see the color of the infusion as it progresses and you can even sample it without worrying that one part of the pot will be different than another. Am I being too picky about my tea brewing? Oh, most definitely. These factors are only one of the ten thousand things that can affect the results of making a pot of tea. Don’t stress. Keep this piece of information in the back of your mind as you choose a teapot, but use your own experience as your guide for steeping tea. As the ancient tea masters wrote, “Tea is very simple… it is only to boil water, along with tea leaves and drink it. Anything else is superfluous.” The rest comes from within. 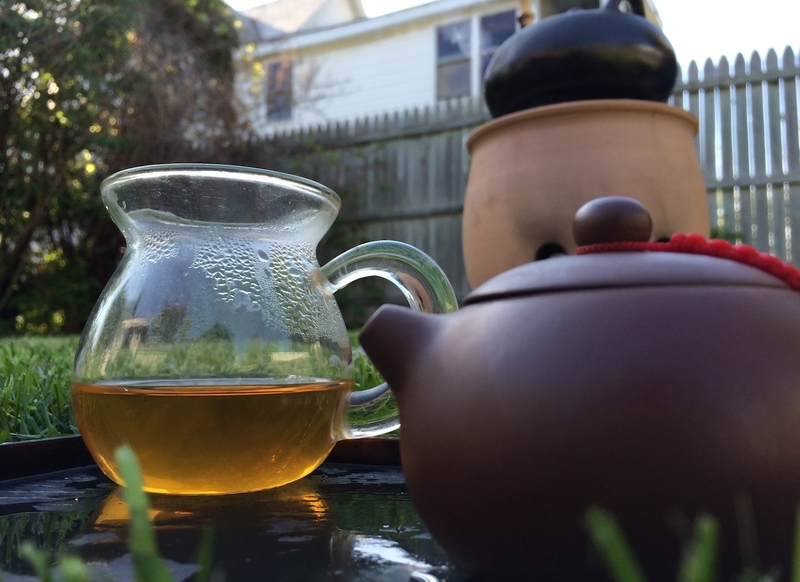 This entry was posted in Method and tagged tea preparation, teapots on May 13, 2014 by payton.